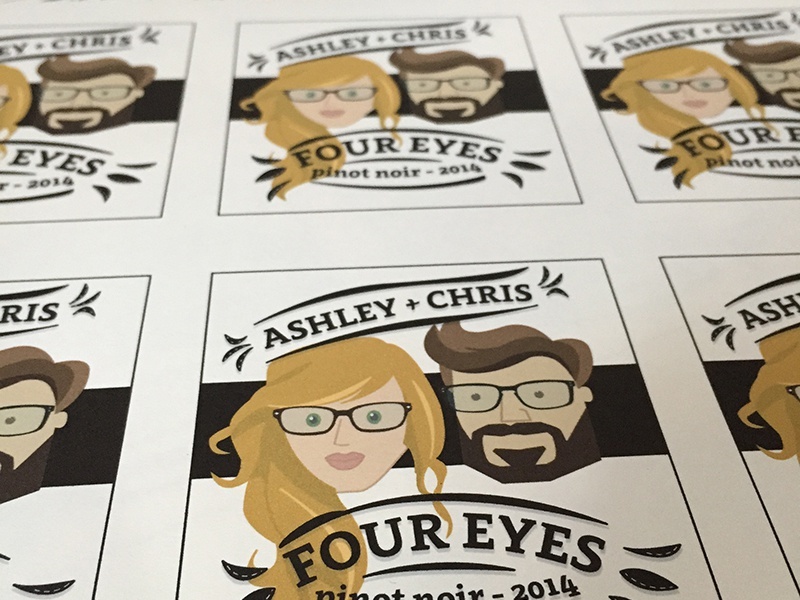 Uncut wine labels for a couple friends. This hipster styled design was inspired by the soon-to-be-wed subjects, Chris and Ashley, and a few internet image searches. Printed on some amazing Crane Paper by Julia F., founder of Red Bird Ink here in Atlanta, GA. Great collaboration! !